Stacked style on a black 12oz coffee mug in silver permanent vinyl. 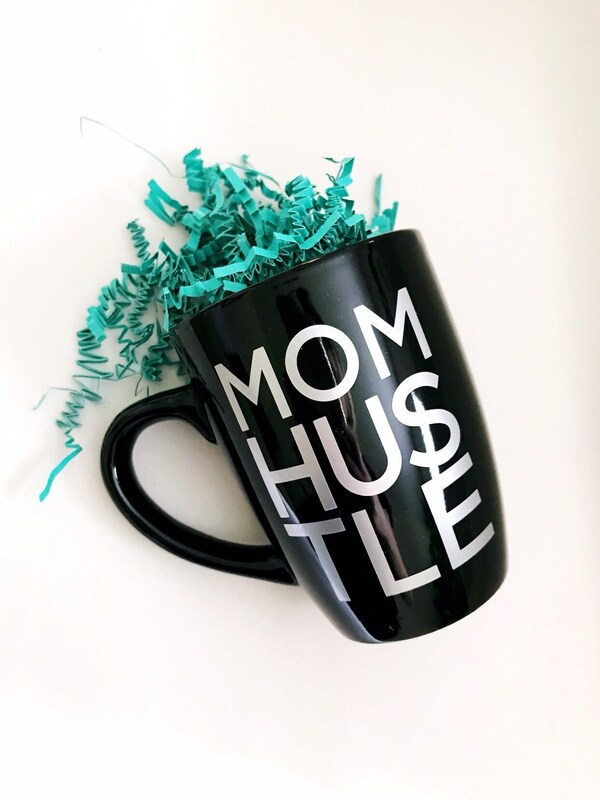 Makes the perfect addition to your morning mom Hustle or as a gift for any mom who knows the hustle is real and requires all the coffee. 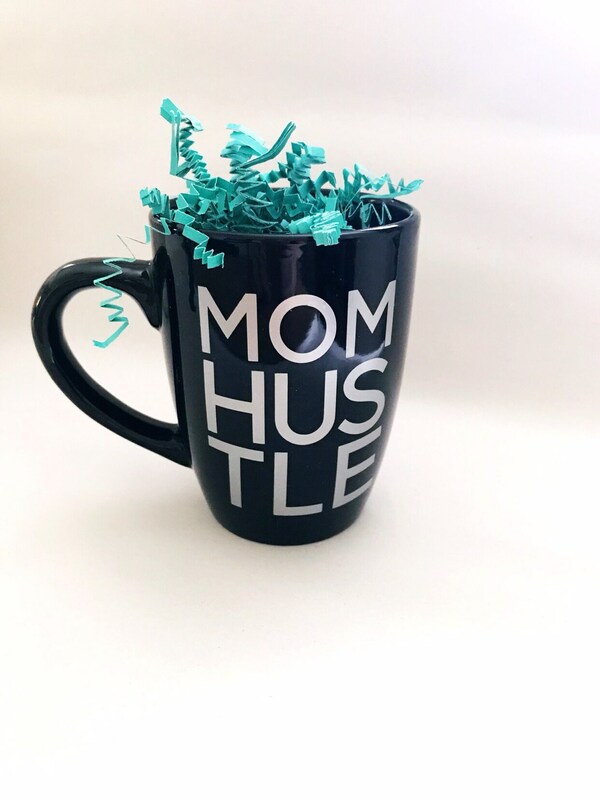 Get your hustle on mamas!